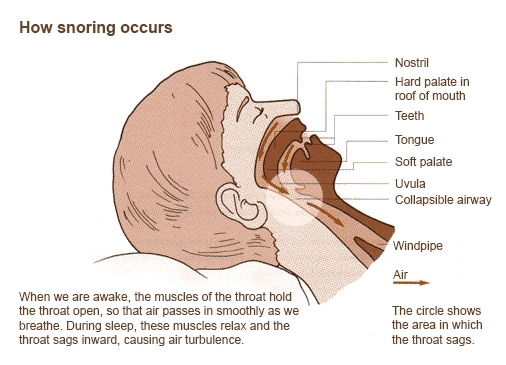 Snoring issues can be helped by salt therapy, read testimonials from people here. My wife is getting well and truly fed up of my snoring, so much so that she booked me in for a salt cave therapy session without my knowledge! I’ve now been to Little Himalaya three times and I am slowly noticing a difference. More importantly, so is my wife! My partner has commented that I appear to be snoring less since having salt therapy at the new salt rooms in Kenilworth. She has since paid for me to have another batch of sessions! My snoring can be bad, I mean like really REALLY bad. I’ve had to sleep in a separate bed to my partner for the last 5 years and obviously that’s not been particularly healthy for our relationship. I feel that salt therapy is beginning to have a positive impact on me, having been down the road of so many other supposed treatments and cures in the past. None of these things have helped much other than the odd night or so here or there which has given me false hope. However, with the salt therapy I feel that I may actually, finally be on the right road for once. After several weeks of sessions my general breathing has certainly improved, I feel like I have more energy, and my sleeping patterns seem more favourable. I might have to record myself sleeping to find out about the snoring though! Having suffered from unbearable snoring for too long, I have resorted to this “alternative therapy” in order to finally cure me. I’m a few sessions in now and I’m certainly sleeping better at least. My general breathing is also significantly better so I am hoping that this translates to less snoring at night. My father has just started sessions for the same reason after I told him about it, he has also reported seeing improvements to his breathing. Having suffered from unbearable snoring for too long, I have resorted to this “alternative therapy” in order to finally cure me. I’m a few sessions in now and I’m certainly sleeping better at least. My general breathing is also significantly better so I am hoping that this translates to less snoring at night. My father has just started sessions for the same reason after I told him about it, he has also reported seeing improvements to his breathing. Will definitely be telling other people about salt caves now. Having enjoyed a handful of sessions at the new salt rooms, I feel as if my sleeping has improved and I’ve been told that I’m snoring less frequently (and less noisily!) than usual. I’ve got another batch of sessions booked so with any luck things will get even better going forwards. I really hope so because I’ve tried so many other ‘remedies’ and have had little joy with any of them. My husband is definitely snoring less since attending Kenilworth’s new salt rooms. I bought him a gift voucher as I was so fed up of him keeping me awake every night. He says the sessions are very relaxing and we both seem to be more rested in the mornings now. Perhaps the spare room doesn’t beckon for him after all.